Arguably, Prince’s song "When Doves Cry" represents one of the greatest recorded matchups of two musical minds who never met. The driving drum track — a heartbeat like no other — came courtesy of California guitarist Roger Linn’s pioneering Linn LM–1 Drum Computer, a 1980 invention that today, we’d simply call a drum machine. Prince so loved Linn’s machines that he owned several (including the next generation LinnDrum). And yet, "I tried to contact Prince a couple of times but never heard back," Linn tells Reverb. "He was very important to my success. He didn’t just select a stock beat and press ‘play,’ but rather used it in unusual and creative ways, from detuning the drums to no longer sound like drums to the unusual beats he programmed to how he featured it in the mix." In fact, Prince is said to have run the LM–1 through Boss effects pedals to get the "Doves" sound. In our interview with Linn, he goes deep into the history of his ultra–pioneering instrument, which includes setting the record straight once and for all about who the Linn "drummer" was who provided those first 8–bit samples. Respected news outlets such as The Guardian have taken some smart guesses (including Jeff Porcaro of Toto), but we’ve got the real answer here. Remarkably, Roger Linn was all of 24 years old when he announced the LM–1, having started work on it when he was just 22. 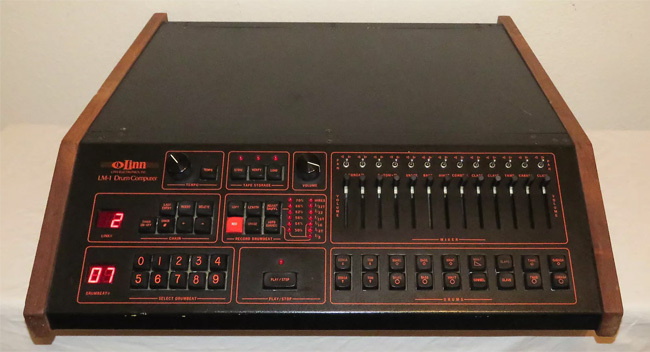 And the result wasn’t a toy by any means, rather, the first drum machine in history to employ samples. "I was aware of sampling technology in the years leading up, but computer memory and parts were very expensive," Linn recalls. "My idea was that by storing only a single short sample of each of a few drums, the total required memory wasn’t so much." A skilled guitarist and songwriter, Linn had already toured with Leon Russell when he was 21 (and would later write the 1979 song "Promises" for Eric Clapton). And like any good inventor, Linn began with necessity: having an always on–call "drummer" to play on his demos. But what began as something personal and artistic soon called out for a wider audience. 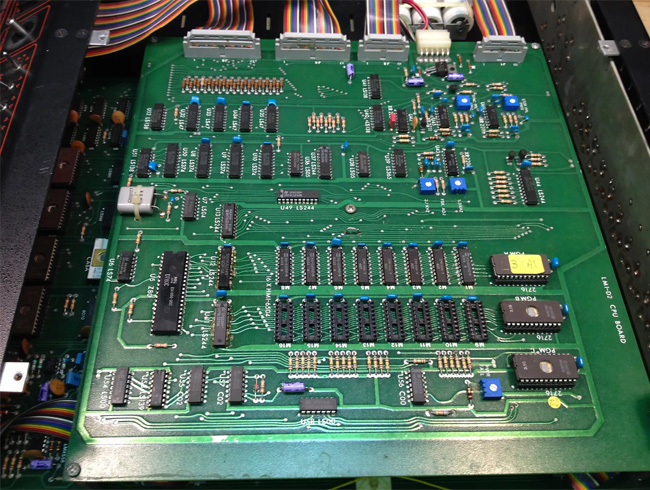 "When I would do demos of the early LM–1 prototype, people’s jaws would drop," Linn says. "They were amazed to hear the sound of a real drum when they hit a button. So I knew I was on to something." That something, as it turns out, came out of the gate before a proper chassis was even ready. Imagine someone at a modern music convention, showing off a revolutionary new effects pedal in a cardboard casing. That’s what Linn did, but not without good cause. "People were starting to ask about it, and I wanted to take it to show to them, but the metal chassis wasn’t yet ready," Linn says. "So I put all the circuit boards and wires in a large, flat box, taped them down to the bottom of the box so they would stay put, cut the sides down to allow access, and put it in my car to show it around. It wasn’t pretty, but it worked well enough to get quite a few 50% deposits on a $5,000 purchase price." Among those early believers were the likes of Peter Gabriel, Fleetwood Mac, and Stevie Wonder — not that it was easy for Linn to get the business going. An early partnership with Alex Moffett (the "M" in LM–1) didn’t work out, so Linn got a loan from his dad for about $20,000. "Then, when that ran out, I took the prototype in the cardboard box around to get deposits." Linn invested everything but the kitchen sink, you might say, though he did pony up his 1967 bathtub Porsche. "In a sense, I did sell my car," he says. "I paid the man who laid out my circuit boards by offering to give him my Porsche." 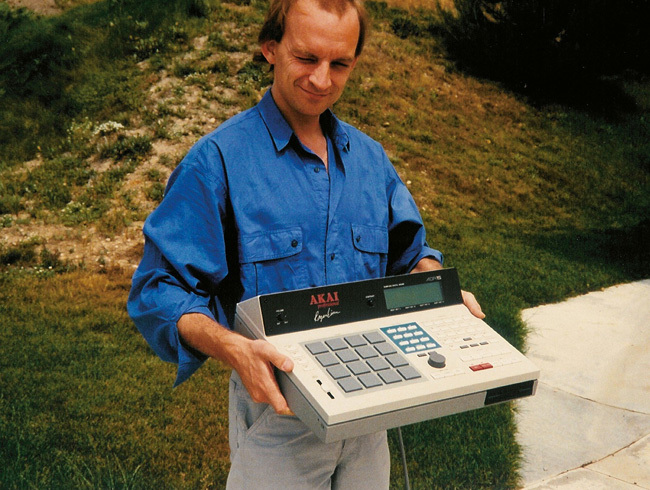 As for who laid down the beats that made 8–bit sampling history, Linn tells Reverb, "It was a drummer named Art Wood, a good friend of mine with whom I had been in bands. It seems that no matter how many times I tell people that Art played the original drum samples, no one believes it, and they love to create myths. I’ve heard that the original samples were played by Steve Gadd, Jeff Porcaro, Dave Garibaldi, and others, but it was all Art." 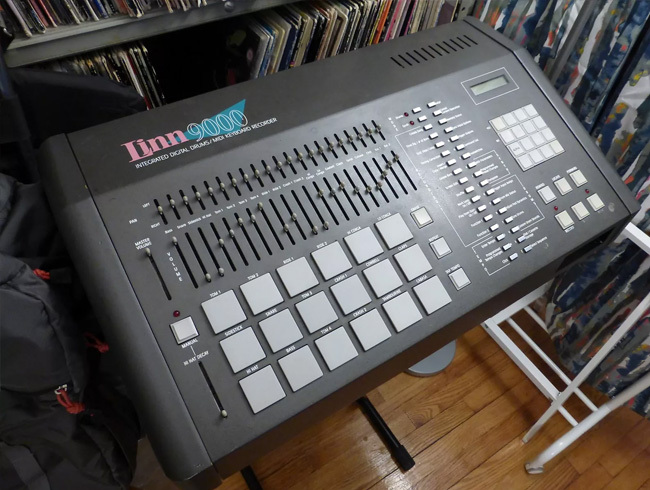 Once artists started putting the LM–1 to work, they created a compendium of hits that literally defined pop music in the 1980s. There is even a Spotify playlist devoted to the magic of the LM–1. Ask Linn what some of his favorites are, and he mentions The Human League’s 1982 hit "Don’t You Want Me" along with most anything by The Purple One. He adds, "Peter Gabriel also used it very creatively, bringing elements of world music into the beats he created. Michael Jackson’s use was mainly alternating kick and snare, but it provided a solid basis for his music, and I think that was mostly producer Quincy Jones." The 1982 Thriller album and "Billie Jean" come to mind. Other breakthroughs followed — not just musical but also technological. The 1984 Linn9000 had the first pressure–sensitive pads, and his Timing Correct feature helped quantize the beats of erstwhile sloppy dashboard drummers to the nearest sixteenth note. Linn also credits his development of the "shuffle" feature — copied by countless drum machines to follow — in part to Russell. "It was Leon who taught me about swing timing, which he called ’shuffle,’" Linn says. "He explained that one of the big factors in a drummer’s feel was the degree of shuffle timing in his playing. Some drummers played straight sixteenths with a hint of shuffle. "…I added the code to delay — by a variable amount — the alternate 1/8 or 1/16 notes, thereby turning a straight beat in a shuffle/swing 1/8 or 1/16 beat and by an adjustable amount. This allowed me to dial in the exact groove I wanted." Linn has hardly rested on any laurels, programmed or otherwise. His latest creation, the LinnStrument, takes music synthesis a big step forward. Imagine a colorful checkerboard array that the user can manipulate with their fingers to create dynamics, slides, and slurs that even the costliest synthesizers can’t. "A MIDI keyboard is little more than an array of on/off switches, and on/off switches are lousy for performing expressive music," Linn notes. "Anyone who has tried to emulate a solo violin, sax, or guitar on a MIDI keyboard knows this. As a result, instrumental solos have virtually disappeared from electronically generated popular music — something that existed in all previous forms." But since it doesn’t use those switches — rather, it employs polyphonic 3D sensors — "the LinnStrument permits a player to perform continuous and beautifully expressive movements in each note’s loudness, pitch, and timbre." As for his motivations, Linn puts it this way, "Today, there’s so much potential solo creativity and so many potential instrumental stars but no electronic instrument capable of unleashing both. I want to enable new generations of virtuoso synthesis stars, the modern day equivalents of Jimi Hendrix, Eric Clapton, Stefan Grappelli, Miles Davis, or John Coltrane." From the gear side of the equation, Roger Linn certainly belongs in a similar league of elites who can’t stop creating. "It’s not something I have to do but rather something I want very much to do. There’s nothing I’d rather do," says Linn, who turns 62 in August. "The fundamental assumption of retirement is that you work to make enough money to stop working. As I see it, I’m not working, I’m just lucky enough to get paid for my hobby. Why would anyone stop doing his hobby?" Lou Carlozo is a studio musician, engineer, and producer based in Chicago and a former Chicago Tribune music editor and writer. In 2013, he scored and performed the soundtrack for the independent comedy We’ve Got Balls, which won multiple awards on nationwide festival circuits.